I love my pet, but it can be difficult to remember their medicine schedule and appointments - especially when I share caregiving duties with my partner. PetDesk is a convenient phone app solution that helps keep us both on task and on time so our fur-child stays healthy. 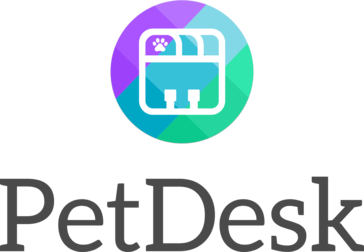 PetDesk is only as good as the veterinary practice on the other end of the software. If changes are made to meds or appointment scheduling in an exam visit, the staff may fail to note these changes in the app. This is a user issue, however, not a problem with the software. It's great to have a dedicated app for managing pet care that interfaces with the vet's office directly, instead of having one more Google calendar to pore over. It fits neatly into a busy workday schedule and sends reminders that can be adjusted in the app. * We monitor all PetDesk reviews to prevent fraudulent reviews and keep review quality high. We do not post reviews by company employees or direct competitors. Validated reviews require the user to submit a screenshot of the product containing their user ID, in order to verify a user is an actual user of the product. Hi there! Are you looking to implement a solution like PetDesk?